The discussion on sustainable finance issues was thought provoking and relevant to my work at the Environmental Defense Fund. Dakota’s interest in sustainable finance began with a summer internship at the Principles for Responsible Investment, where he collected and analyzed quantitative and qualitative data on Fortune 100 companies’ water risk exposure through their key agricultural commodity supply chains. At this internship, Dakota also conducted ESG research on prospective partner exchanges for the Sustainable Stock Exchange initiative. 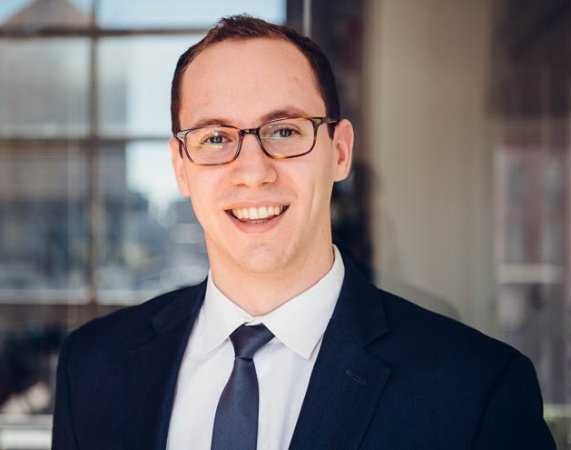 According to Dakota, the internship helped him sharpen his focus on sustainable finance, and subsequently led him to begin his Master’s program in Sustainability Management at Columbia University the following fall. Currently, Dakota is a Sustainable Finance and Impact Investing Manager, and William K. Bowes, Jr. Fellow, at the Environmental Defense Fund. Prior to that, Dakota was a Project Officer on the Investor Initiatives team at CDP. Since 2017, Dakota has volunteered as communications secretary of CFANY’s Sustainable Investing Thought Leadership Group. Dakota’s involvement with the group was spurred through attendance at monthly Sustainable Investing Group meetings. There, Dakota soon realized that by improving the means by which information was shared among group members, they could grow and foster greater participation and interaction. In the past six months since Dakota’s arrival, overall attendance for the Sustainable Investing Thought Leadership Group has seen significant improvement. Dakota strongly believes in the value of CFANY thought leadership groups, especially that of the Sustainable Investing Group. The Sustainable Investing Thought Leadership Group provides a forum to advance the dialogue regarding the role of sustainable investing in today’s capital markets and beyond. It strives to further an understanding and clarify the risks and opportunities linked to environmental, social and governance (ESG) issues, and how to quantify these considerations over the short and long-term. When asked to offer advice to those interested in pursuing a career in sustainable finance, above all else, Dakota urged “patience.” Though interest in sustainable investing is growing at a remarkable pace, states Dakota, it remains an incredibly competitive niche within the financial services industry. He offers that the best way to break into that space is by building a network of sustainable finance professionals. Dakota Gangi will be sitting for the 2018 CFA Level III exam this Saturday, June 23rd and we wish him the best of luck!